We are into the homestretch of National Nonfiction Writing Month (NaNonFiWriMo). Now we begin the discussion of how to build a business around your book. If you are not writing a book, don’t think this post or the ones that follow don’t pertain to you! 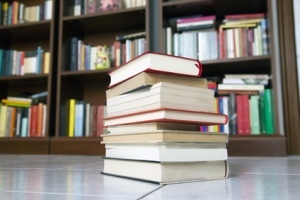 You can still use these principles to build a business around your nonfiction writing! 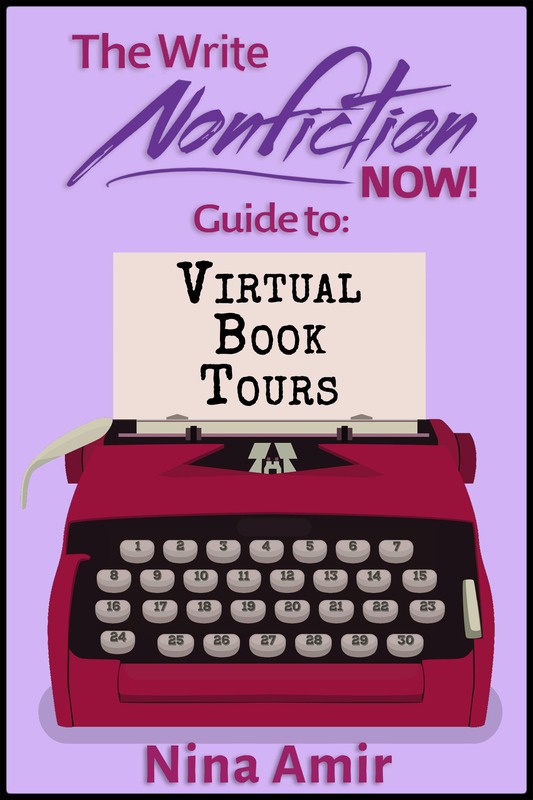 It doesn’t matter what you wrote during the Write Nonfiction in November (WNFIN) Challenge or what you plan to write in the future—a book, essay, article, or some other type of nonfiction. Consider yourself an expert. Nonfiction writers write about what they know or what they research. They are experts or become experts, and experts have the ability to build a business around their writing. That means you can produce an income around your nonfiction writing in a variety of ways, and the tips provided in these final posts will help you do so. If, however, you are writing a book or wrote one as part of the WNFIN Challenge, pay particular attention because today, on Day 25 of NaNonFiWriMo, book coach Roger C. Parker is back with what may be the most important tips you read all month—at least if you want to earn a living as a writer and an author. Breaking the habit of “profits from book sales” and viewing your book as a business while slicing and dicing your book topics for future income-producing projects. It’s surprising how many responses still revolve around profits, i.e., royalties, from book sales. The continuing lure of profits from book sales, and possible six and seven-figure bonanzas, still captivates many authors. This focus on profits from book sales is understandable; the media loves relating stories of lottery winners and instant bestselling authors who hit a home run on their first time at bat. This media fascination is reinforced and passed along by those who provide products and services for authors, such as coaches, printers, and various types of advisers. Exceptions notwithstanding, a preoccupation with profits from book sales can lead authors astray. It’s one thing to write books for self-satisfaction and the pleasure of sharing your ideas for another. And, it’s also fine to “put in your time,” honing your craft and taking a long-term view of writing career, paying your dues, and investing in your career. There’s nothing wrong with either of the above, as long as you do it willfully. But, it’s quite a different situation when you continue to receive $25 and $47.50 monthly checks for your efforts. Viewing your writing as a business offers authors many benefits. It frees you from the possibility of disappointment if sales fail to materialize. It allows you to justify your initial investment over a longer period of time. And, it encourages you to look for a broader income base than just book sales. The need for authors to plan for the future is even more important these days, due to the downward pricing pressures driving down the costs of ebooks to unprecedented lows, i.e., $2.99, or even lower (or free!). Two stories emphasize the importance of back-end profits. My case was less dramatic, but very similar. When my Looking Good in Print was a bestseller in over 30 countries, it would amaze me that I made more in a single day of presenting than I would earn from book royalties in a month! 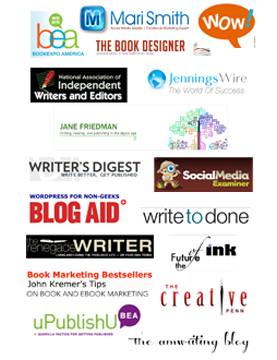 Traditionally, successful authors have created a stream of income from a combination of products, services, and events. Products. The most successful nonfiction authors have made their “real” profits from information products like subscription newsletters, annual updates, audios, membership websites, videos, reports, templates, and worksheets. Now, online ecourses have expanded these options. Today, given the “on demand” production capabilities of the Internet, even fiction authors can profitably sell products like t-shirts and coffee mugs based on their books and their characters. Services. 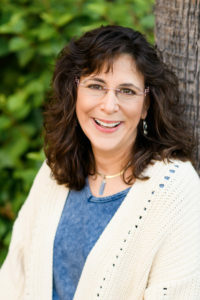 Nonfiction authors often view their books as three-dimensional business cards, leveraging their books to convert readers into clients for their coaching, consulting, or professional services businesses. Coaching options include 1-on-1, group coaching, and “train the trainer” programs where you teach and license others to share your techniques. Services can be as simple as offering personalized telephone question-and-answer consultations using online resources that schedule calls and accept client credit cards. Events. Events take many forms today, and they still constitute the foundation of many author’s income. 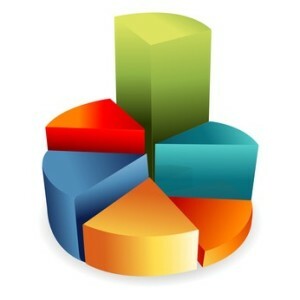 Events include speeches, presentations, teleseminars, webinars, and workshops. Top authors can command top dollars, i.e., $50,000 and more for a luncheon speeches or keynote addresses at corporate retreats. Knowing that you intend to profit from your book, beyond book sales, from the start is crucial. It will help you avoid unpleasant experiences down the road. For example, after my Looking Good in Print became widely successful (including the dubious distinction of being the most stolen book in the Boston Public Library for over 2 years), I casually mentioned to the publisher that I was going to do a Looking Good in Print subscription newsletter. The trap of “what happens after publication” continues to trap unwary authors who may sign-away rights, or agree to print-on-demand publishing terms, that limit their future profit opportunities. Special reports, such as yearly updates. Vertical market adaptations. Jay Conrad Levinson followed-up his original Guerrilla Marketing book with specialized versions for attorneys, financial advisers, actors, authors, job hunters, startups, coaches, consultants, network marketers, nonprofits, artists, songwriters, spas, and real estate investors. Tactics and tools. The Guerrilla Marketing series also contained numerous titles aimed at utilizing tools like research, the Internet, green business tactics, free tools, and memes (story-telling words and images). Another example reflecting the importance of planning for the future is Larry Fine and the legacy of profit opportunities he created when he wrote The Piano Book: Buying a New or Used Piano. When I purchased the third edition, about 15 years ago, I was surprised to see that he was offering telephone consultations for $75.00…and, when I called the 800 number, I found that no consultations were available for several weeks. Whether you’re writing a fiction or nonfiction book, I encourage you to look beyond profits from book sales. Build a business around your books, leveraging products, services, and speaking opportunities to provide income to reinvest in future books and new profit opportunities. If you’re interested in this, I have a couple of worksheets I’ll send for free via email if you contact me at Roger@PublishedandProfitable.com and put Profit Opportunities Worksheets in the email subject line. 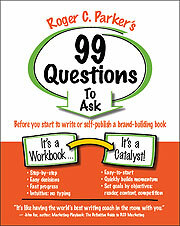 Or, download my free 99 Questions to Ask Before You Write and Self-publish a Brand-building Book! After writing over 42 books nonfiction books, Roger C. Parker is a popular book coach who offers authors do-it-yourself planning sheets and personal 1-on-1 coaching resources. 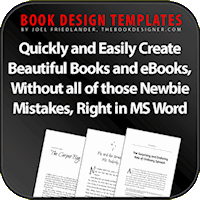 He can help you save time as you plan, write, promote, and profit from your books. Roger helps clients select and test book titles, organize their table of contents, create a book launch plan, and find the time to write and promote your book. 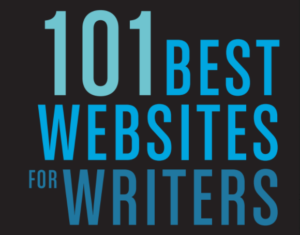 Roger wrote the first book on nonfiction book titles, #Book Title Tweet: 140 Bite-Sized Ideas for Compelling Article, Book, and Event Titles. Visit Roger’s Published & Profitable website and get his free 99 Questions to Ask Yourself Before You Start to Write and Self-publish a Personal Brand-building Book. It’s a workbook that will you avoid false starts, question your assumptions and gain new perspectives, and focus your attention on the key issues. Writing is one of the most important things in his life, and he shares the lessons he’s learned to helps other authors maximize the opportunities and avoid the pitfalls that frequently undermine their progress. Ask him your questions at Roger@PublishedandProfitable.com.